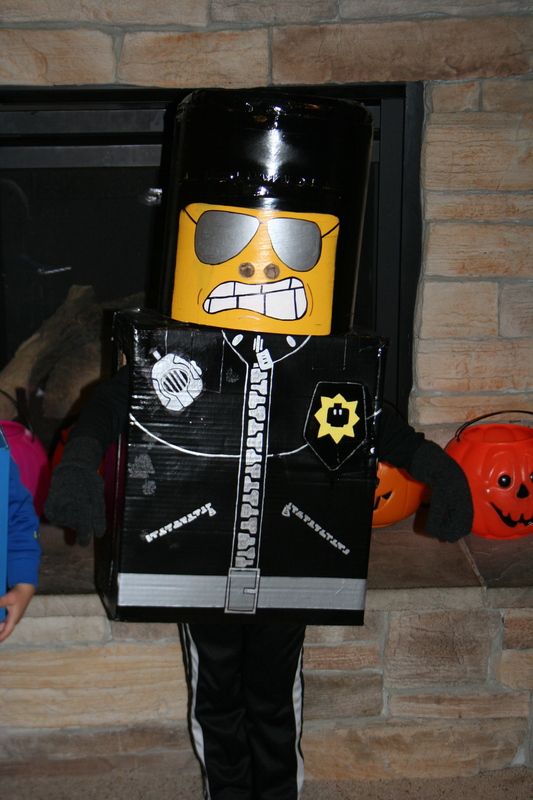 Halloween 2014 we wanted to go for a family costume theme and the kids absolutely LOVE the Lego Movie so it seemed like a great fit. My oldest think’s he is a pretty big deal (Batman). My only girl is a mix of emotions and yet not afraid to do her own thing (Wild Style/Lucy). My middle fella is a people pleaser and always happy (Emmett). My little man can be super sweet and then flip on a dime (Bad Cop). My toddler is so one-track-minded “SPACESHIP! !” (Benny). And then my baby, the piece of resistance of course!!. 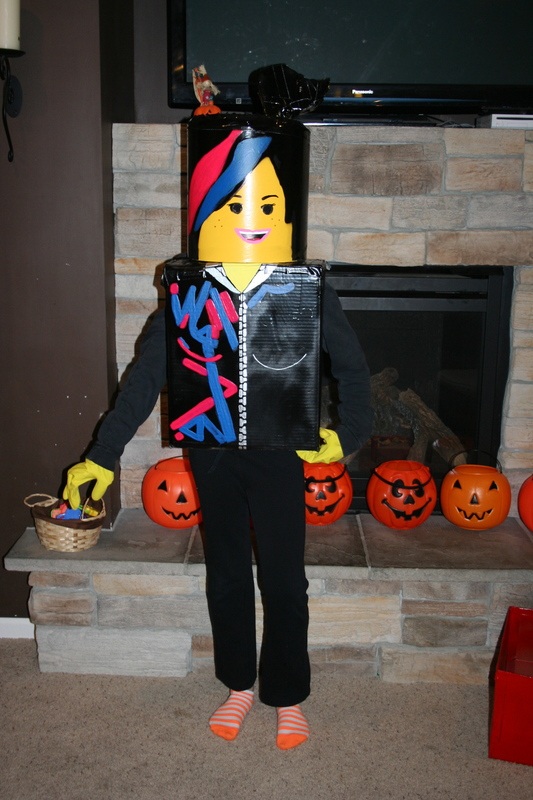 I did my research and found that many others had done DIY Lego costumes before which gave me the courage to give it a try. I took my ‘six-pack’ to the craft store and Menards to gather the supplies and get to it. Basic Supplies: Concrete form tube, spray paint, rubber cloves, small plastic pot, insulating foam (get the good stuff or it’ll make a horrid mess when cutting), duct tape, craft paints, paint brushes. 1. 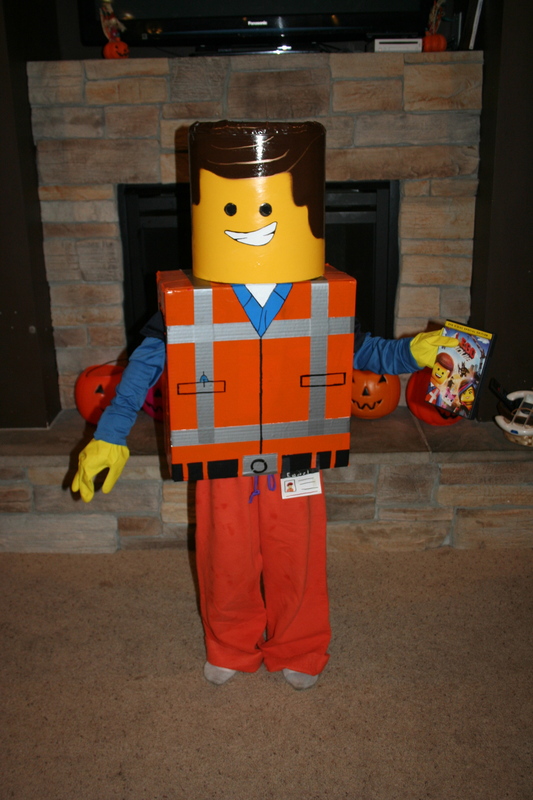 Lego body: The base for each costume is a costume. 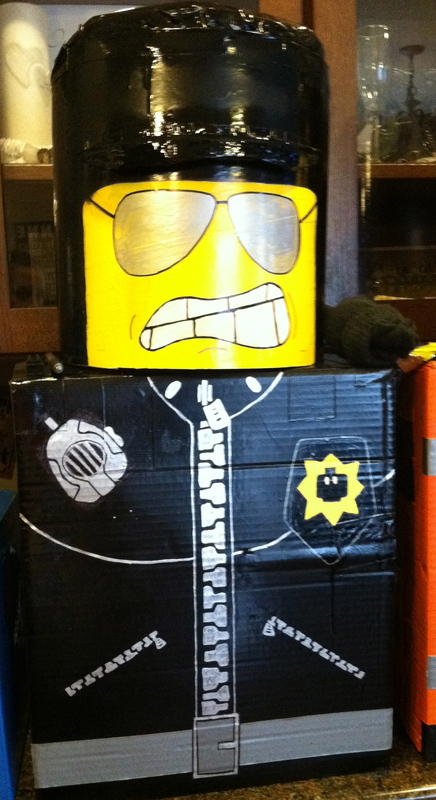 The larger costumes were other boxes which I snagged from the recycle bin. (Diaper boxes work great and with 2 in diapers that boxes were easy to find.) The kids each tried on their boxes and I cut the holes accordingly. We used some tape in various spots to make it more comfy too. I spray painted the boxes out in the yard although I am sure my neighbors thought I was nuts with a line of sprayed boxes. After drying throughly I was ready to paint the details. I found photos online and pictures from the kids Lego movie figurine books to help guide me. Drawing and then painting was a long and tedious step for me. I used lots of duct tape for the costumes whenever possible. Craft paints and Sharpie’s were a lifesaver here as well. I spent more time painting the details than anticipated but the kids reaction to the costumes made it all worth it. 2. 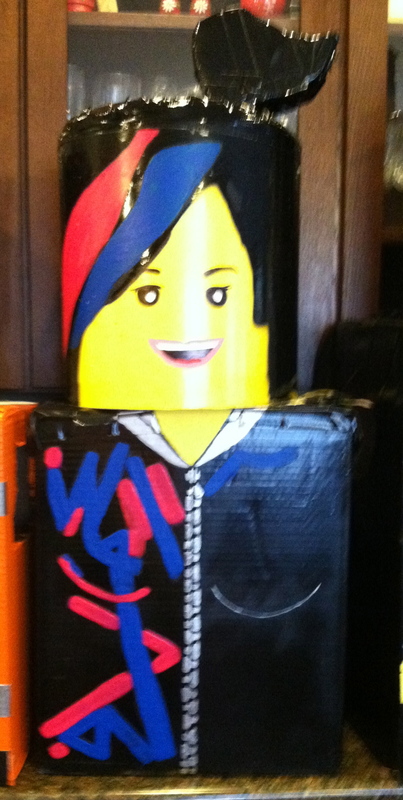 Lego head: The heads for the larger costumes were made from concrete form tubes which I cut into smaller pieces with powertools. (Side note: This wasn’t easy and if I was to do it again, I would have gotten help with this part). I sprayed the tubes yellow first; however, if I was to do this again I’d wait and spray AFTER cutting….lesson learned. 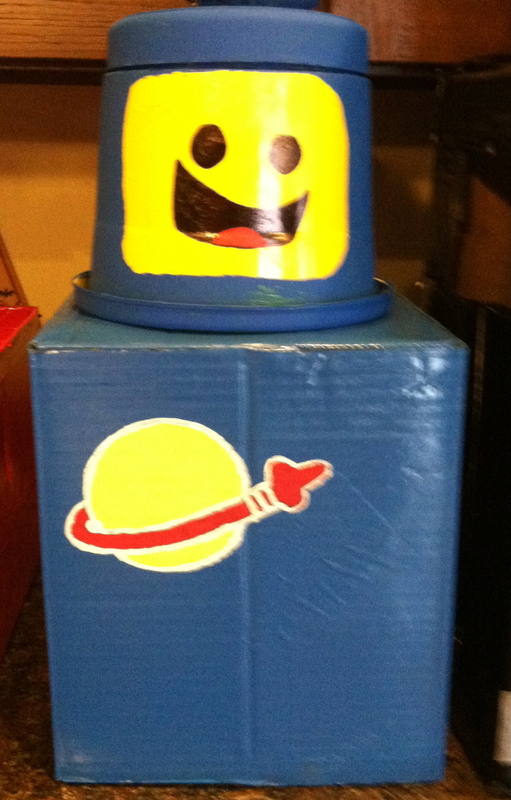 The Benny costume was made for a 2 year old so I decided to use a small plastic pot instead. After cutting the tube into 4 pieces I used the tube as a stencil and traced the inside of the tube on the foam so I could get the right sized circle to fill the top of the ‘Lego head.’ After cutting out and then sanding the edge of the foam circles I pushed them into the top of each tube and rounded the edges with duct tape. More spraying took place after taping newspaper cut to fit as to not get black paint on the yellow lego faces. 3. 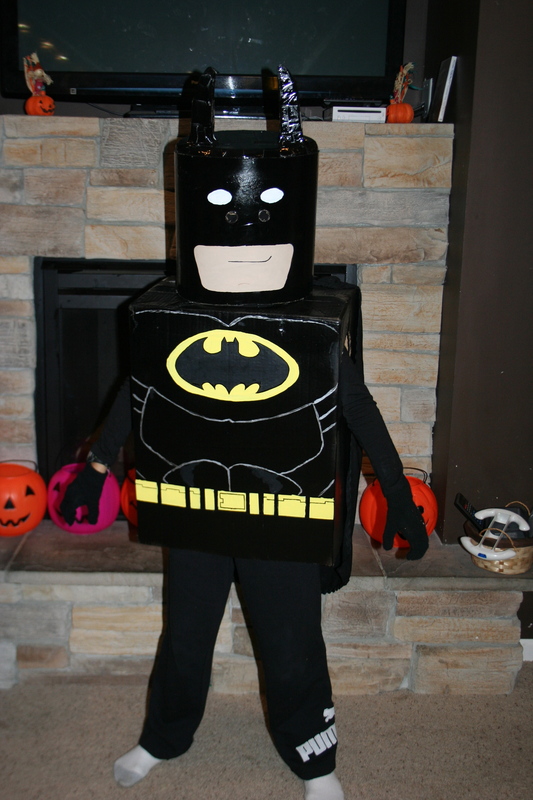 Finishing Touches: We added a cape to the batman costume by cutting holes to tie it within. I also used leftover pieces of the foam to create Badcop’s helmet, batman’s ears and Wild Style’s hair. Again, I used duck tape to round them out and connect them. (Through researching online I read that the foam will basically melt if spray painted. I tested that theory which I found to be correct so I then proceeded to cover all of the foam with duct tape to avoid that problem which I would say was a success). I totally cheated on the back of Badcop by finding a font that matched. I printed, cut and clued those bad-boys on the box and it worked great. 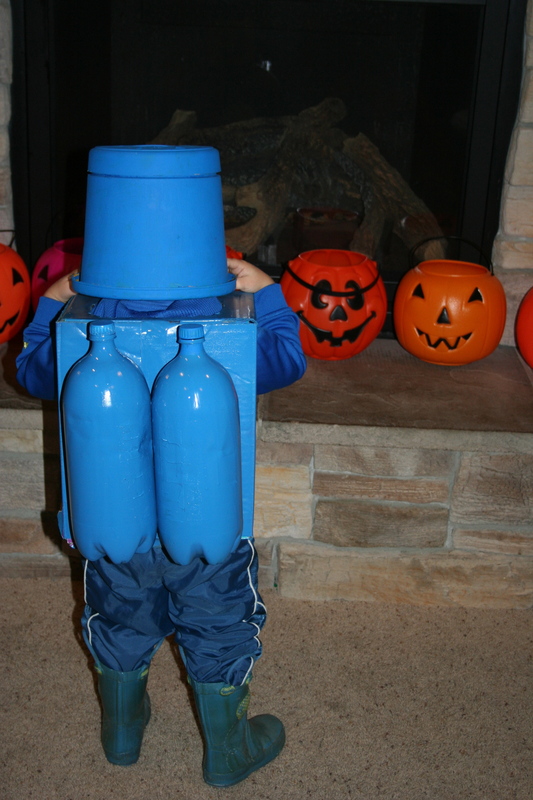 To add to Benny’s spacesuit I poked holes in 2 empty plastic bottles and affixed them to the back of the box. The kids had fun and won a local costume contest which they were pretty jazzed about. 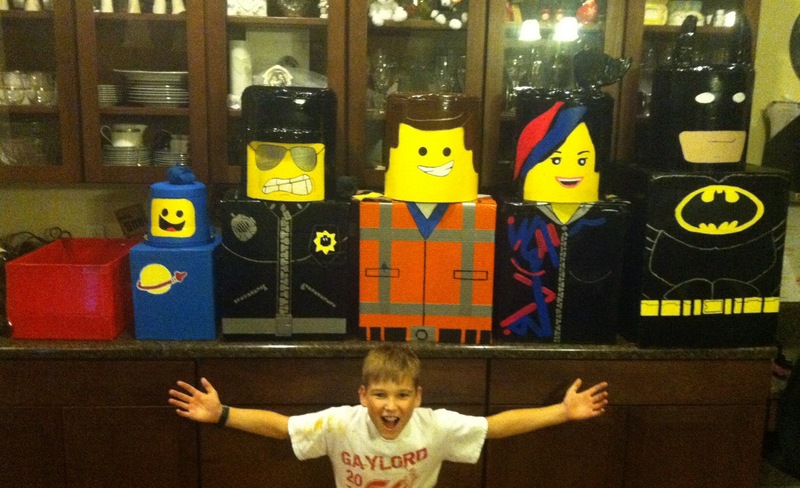 They all thought their costumes were “AWESOME!” If you are thinking of trying a Lego DIY costume-GO FOR IT! 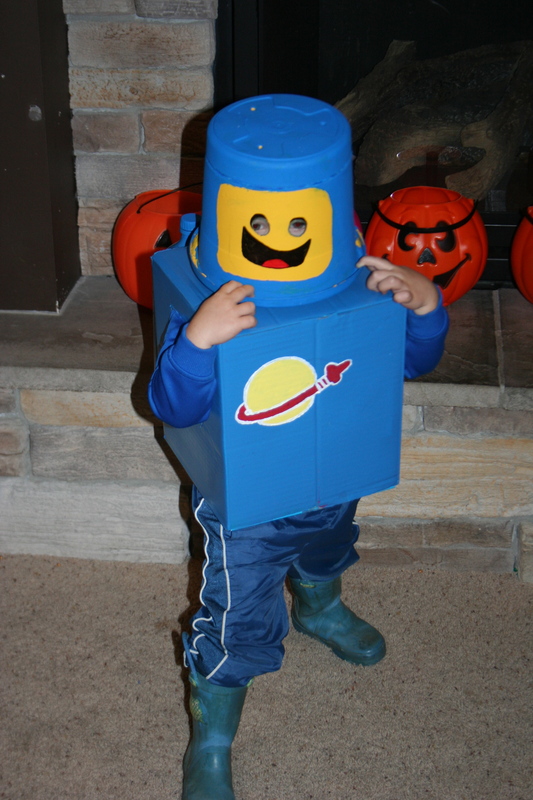 There are many people who have made Lego costumes and share their info online which makes this totally manageable.